To say that French artist and designer, Maud Vantours, creates art with color paper would be a gross understatement and misrepresentation of her amazing three dimensional sculptures. Maud’s work transcends a simple material and transforms it into a work of art. Her design creations are original graphics of multicolored and dreamlike landscapes. 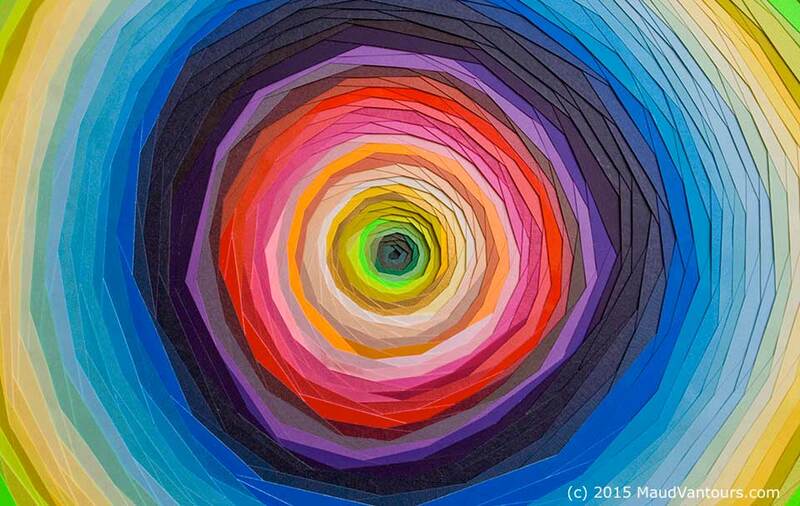 This particularly colorful piece comes from her 3D paper spirals collection. I love how the colors and angular lines of the spiral draw us into the center. It also makes me want to run my hands along the surface so I can feel the paper and the lines. How cool is it that Maud shows us that we can color with paper!